Windows 10 is nearly here and we’ve been taking a look at Microsoft latest offering. 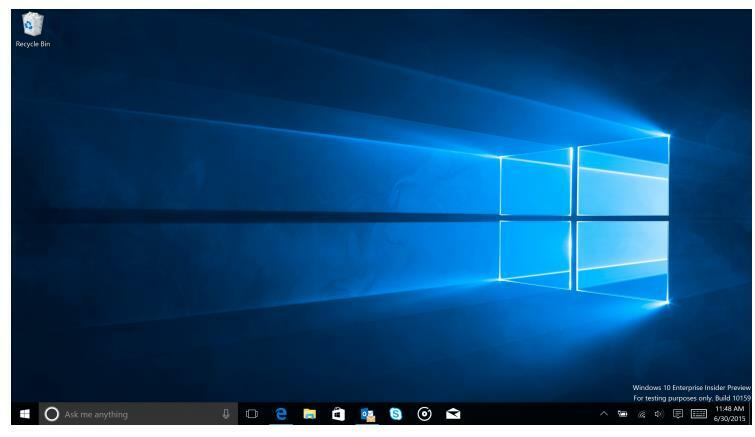 For many, Windows 10 will be a welcome upgrade from Windows 8, which has been widely criticised by users, due to its apparent awkwardness. It’s the user experience of Windows 8 which has just got people upset and frustrated. Desktop and laptop users just found its interface confusing and difficult to grasp. Microsoft made a number of welcome changes to improve things with 8.1, but its reputation by this point was in taters and continued to suffer. The fact that Windows 8 sits on a number of optimised and innovative features as been largely ignored. With it’s leaner and faster code base and a few simple tweaks it can work well and improve desktop experiences. So with Windows 10 on the horizon can it improve and impress? We we have been testing Windows 10 for a number of Months, moving from different build to build and recent versions have impressed us. Here are some points we have noted. It feels like a desktop operating system again. Cortana shows potential to really help productivity – if developed correctly. We have experienced little compatibility issues. On a recent test upgrade it rolled back perfectly to Windows 8, that was really unexpected.